An Iranian official says there is a possibility that surrogates will be used to preserve the highly-endangered Asiatic cheetah. 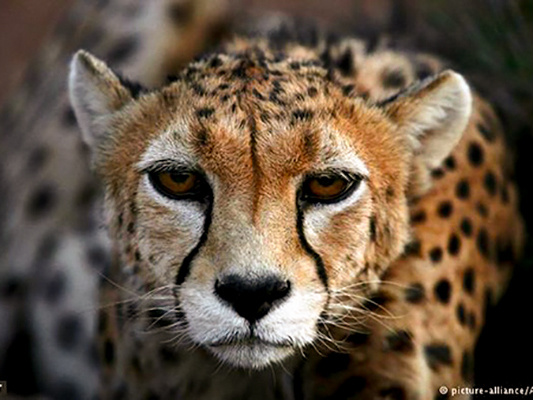 Deputy Head of the Iranian Department of the Environment Hamid Zahrabi said the body has a new plan to protect and preserve the species by creating a large, enclosed area in order to protect and reproduce the Asiatic cheetah in a quasi-natural way. “If natural mating and artificial reproduction fail, we will consider the option of transferring the embryo and using surrogates,” he said in an interview with ISNA. “We intend to create a large enclosed area in order to manage and increase the population of cheetahs in a quasi-natural way,” he noted. “We hope that cubs born to cheetahs at Pardisan Park could be used to create a quasi-natural population that would be introduced into one of the existing habitats,” the official said. He was asked if the Department of the Environment may try to catch live cheetahs from their natural habitats. “We have no such plan at the moment,” Zahrabi answered. “But we may catch live cheetahs in order to get genetic samples from them because we need cheetahs’ genes, especially for areas where the cheetah population is diminishing due to a low birth rate,” he noted. “For example, when it comes to the cheetahs in Yazd, we must try to catch them alive to get gene samples in order to be able to preserve the genes of the species,” the official said. “Therefore, we must catch at least one live cheetah and get sperms from it and begin to reproduce them before all members of the species die,” he said. Zahrabi also took a question on the possibility of using an African cheetah as surrogates. “We have designed different levels in order to reproduce cheetahs in captivity. At the first level, the cheetahs at Pardisan would mate naturally,” he said. The official said if natural mating fails, then artificial insemination would be the next option. And the third option, he added, would be to transfer the embryo to a surrogate – an African cheetah – which already has the experience of bearing a cub. “Each of these methods to reproduce cheetahs in captivity has risks and there is a 30-percent chance of success in these methods,” he said. The official said the Department of the Environment’s first plan about cheetahs is to protect them in their natural habitats while also using new methods of preserving cheetahs and seizing all opportunities and drawing on all experiences across the world to preserve and revive the Asiatic cheetah.